Here you will learn the basics of measuring. Remember!! this information is just a guideline. We always recommend that you ask a fully qualified carpet fitter to measure your area to be carpeted to avoid costly mistakes. when measuring a room, simply measure from the furthest skirting boards at the longest and widest point of the room. When measuring into a door, measure from the opposite skirting board to where the carpet will finish underneath the door. 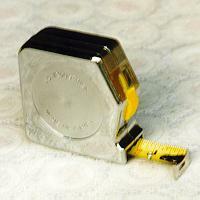 We recommend that a minimum of 3 inches is allowed on each measurement to allow for cutting and trimming i.e. if your room measures 13' 9" X 11' 9" meters, the correct size to be ordered will be 14' X 12' .